In the last 128 Justin Hewitt beat a player from Belgium 3-0 hitting 2 maximums 180s in that game . In the last 64 Justin beat a very good player from Republic of Ireland, who the next day finished joint 5th in the wimmau youth world masters by 3-2 . In this game Justin played very well hitting 2 maximums 180s again and finishing well . In the last 32 he lost 3-1 against a good player from Holland although he had his chances too . He finished in a brilliant joint 17th position. 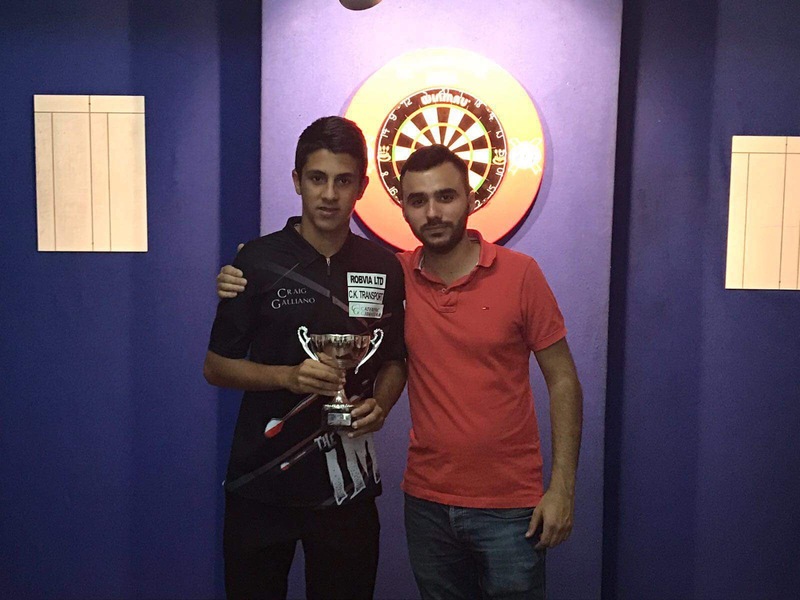 The new darts season began where the last one left off, with rising star, Craig Galliano winning in style. Despite having a difficult draw, Craig fought hard throughout the tournament, beating Tony Dawkins , Roy Asquez, Dylan Duo, and finally Antony Lopez to take the title. 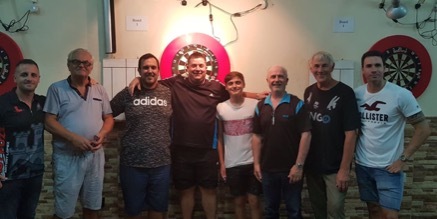 The turnout was a little disappointing, with only 21 players attending the College Cosmos for the traditional first tournament of the darts season, but there was certainly no shortage of skill, with Antony Lopez particularly playing well in the early rounds. 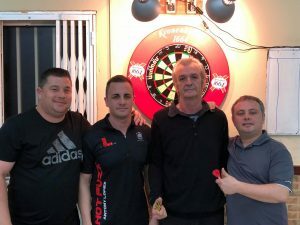 Despite the short format of this competition, there were nine 180’s and two ton plus finishes, with a number of games finished with 15 or less darts. The final itself, between Craig and Antony was exciting to watch, with both players trading high scores, but it was to be Craig’s consistency that won the day, defeating Antony 3-1. 180’s were hit by Antony Lopez (3), Craig Galliano (2), Christian Tosso, Justin Stagno, Roy Asquez and Jarvis Bautista. High finishes Antony Lopez (118) and Jarvis Bautista (112). Craig Galliano claimed his second Senior title of the season with victory at the Superstars event! 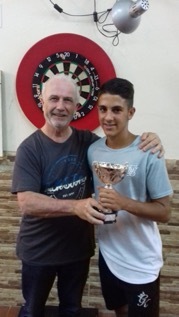 Young Craig Galliano claimed his second senior title of the season with victory over Christian Tosso in the Final of the 2018 Superstars event. The GDA season finale Superstars event enjoyed a packed house for the darting action. 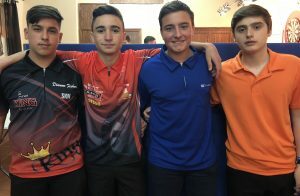 Gibraltar’s 8 top ranked players participated at the College Cosmos Club for the right to be named the Superstars champion and to end the season on a high. Craig Galliano wins the 2018 Youth National Champion title! The 2017/18 Youth National Champion event enjoyed a great turnout from the youngsters. This event is the last ranking event of the season and the most prestigious one. 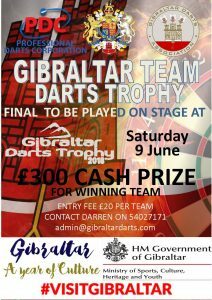 Apart from the National Champion title up for grabs there was more at stake for two players. 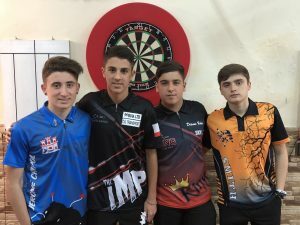 Ethan Smith and Jerome Chipol were both sitting on the same points prior to this event and both of them were in the running to finish in 4th place in the rankings and secure themselves a place in the European Youth Cup Squad. 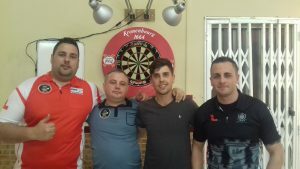 The top 3, Craig Galliano, Justin Hewitt & Sean Negrette had already secured themselves a place so it was down to these two players for the fourth spot. The GDA recently held its popular League Pairs event which saw a good turnout of 34 players, making 17 pairs. The format of the competition is “best of 5 legs, 501” throughout. Sean Negrette wins back-to-back Youth Ranking titles! Antony Lopez defeats Dyson Parody to claim his first ever Ranking title! Antony Lopez whitewashes Dyson Parody to claim his first ever senior ranking title! Antony Lopez won his first ranking title after a brilliant display which only saw him drop a single leg on the night. 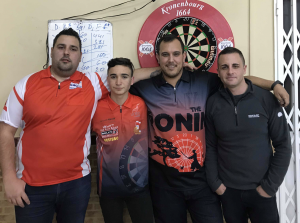 Antony’s route to the final saw him claim wins over, Francis Remorino, Dylan Duo, Carlos Munoz, Sean Negrette and Justin Hewitt. The early rounds saw some of the top players go through with relative ease. The first round also saw Antony Lopez get the better of his fellow College Cosmos team mate Dylan Duo with a 3-0 win, despite the scoreline the game was a tight affair. Sean Negrette managed to get the better of an experienced Jimmy King 3-1.